Rare footage of a snow leopard and her cubs caught in camera traps has been released. The footage of the endangered animals in the stunning landscape of their Mongolia home has been revealed by charity WWF-UK to inspire people to sign up to next month’s Earth Hour calling for action on climate change. 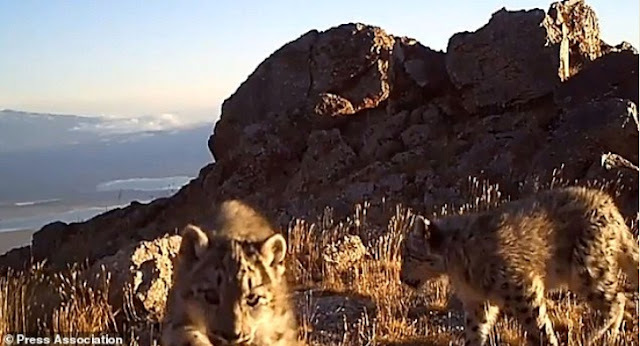 The images of the mother and her three young in the remote Khovd province of Mongolia include shots of the cubs taking a keen interest in the camera capturing their movements. Snow leopards, which are found in the high mountains of Asia, including in Afghanistan, China, India, Nepal, Pakistan and Russia, are at risk of extinction due to loss of their habitat and prey, poaching and persecution. The rarely-seen species is also one of the most threatened by climate change, as it lives in the mountains above the tree-line, which could shift with warmer temperatures, squeezing the animals’ habitat and isolating them from each other. Becci May, WWF-UK’s snow leopard programme lead, said: “This intimate footage was captured as part of WWF’s conservation work in the Altai-Sayan Ecoregion, where WWF works with local people as citizen scientists – herders assisting on collecting data – to help monitor, understand and protect snow leopards. Each year, for Earth Hour, millions of people and major landmarks including Big Ben, Times Square in New York and the Hong Kong skyline switch off their lights for an hour to put the spotlight on action needed for the environment. Earth Hour takes place from 8.30pm on Saturday March 25 this year. 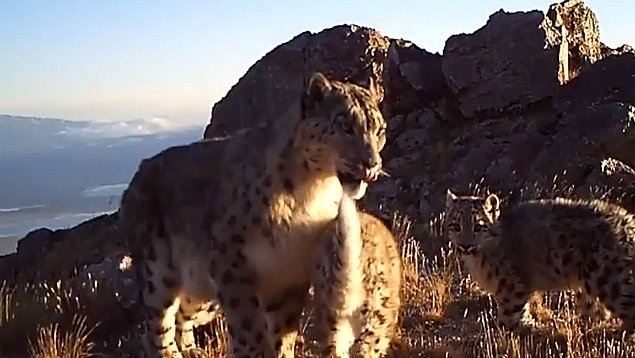 Responses to "Rare footage of Snow Leopard and cubs in the stunning landscape of their Mongolia home"